Most countries have fantastic inventors and manufacturers that are little known outside of their national borders, some even having been Royal purveyors for many decades, and it is a bit of a shame that we for this reason miss out on some fantastic gear, simply because we are just not aware of their existence, especially these days when international trade is so easy and direct. Likewise, it is easy to be blinded by the somewhat overwhelming range of products available through internationally renowned high end outdoors brands, often quite expensive, and constantly changing by the year, presenting new models not out of your need, but for fashion. One type of manufacturer largely stand outside of this, however, and those are the suppliers of military gear, who certainly work to improve on and adapt their products to new needs that arise, but rarely do it for reasons of fashion. Instead, their focus is on function and durability, being required to meet the strict requirements set by the military. 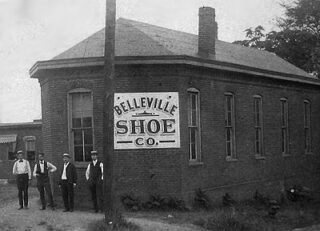 One company that perfectly embodies both these two, is the US military supplier Belleville Shoe Mfg Co, founded already in 1904 by five Belleville businessmen – Adolph Knobeloch, H.E., Leunig, J.B. Reis, James Rentchler and William Weidmann. 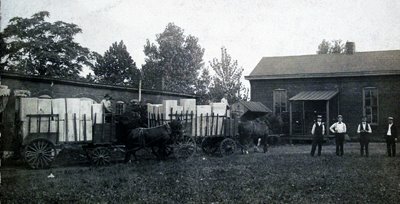 Right from the start, and with no experience in shoe-making, they employed 50 workers, making 50 to 75 pairs of shoes a day. With strong belief in themselves and their ideas they were quite successful, and within just a few years, they were selling shoes all over the US. Already with the WWI they received their first order from the US military for combat boots and thus embarked on their journey to produce footwear for the armed forces, which they have stuck with ever since. 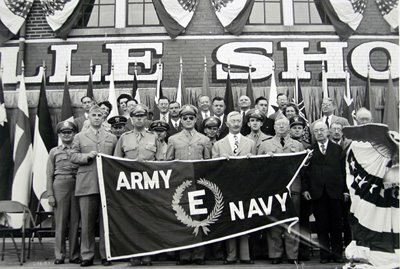 And in 1945, they were even awarded the the “E” for Excellence Award by the War Department, for their unfailing on-time delivery of quality boots, an honour only given to five out of 90 military boot manufacturers during the war. In modern time, Belleville has continued to deliver boots of extremely high quality to the US military and e.g. 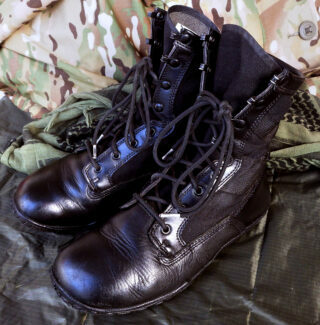 in the years 1989-91, around the time of Desert Storm, Bellevile produced 656,000 boots for the US military, of which not a single boot failed to meet government quality requirements. For this reason, the company won the Defense Department’s prestigious Defense Quality Excellence Award. And today still, the company continues to deliver a wide range of military boots, designed for hot, wet and dry as well as wet and cold climates. 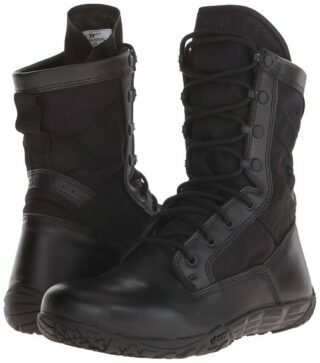 For a military boot this is a rather unique model. Designed specifically for conditioned athletes who desire minimalistic athletic footwear, it has a mere 2mm drop between the heel and foot, making them very close to “barefoot” boots. The boot is unlined, quite breathable and lightweight, weighing in at less than 2lbs/907gr per pair. Insole: Single density molded, removable insert. Belleville also advises anyone not used to wearing “barefoot” shoes and boots to make a gradual transition into the use thereof, wearing them only for 1-2 hour intervals for the first few weeks, gradually building the new muscles needed for the flatter foot position, adapting the body to the somewhat different manner of walking. I have tried a few different barefoot shoes over the years and never quite felt happy with them. They felt unstable in a negative way, with my foot and especially the toes turning blue from sliding around in them. So, I’ve been looking for a good replacement for quite some time. A friend tipped me about these and I got very curious, given the strong credibility of the, up until then completely unknown to me, brand. So do they live up to all that credibility? I have to say yes! Without hesitation or caveats whatsoever. Putting them on for the first time they fit like a glove. As a military purveyor, they are required to offer boots that fit all kinds of feet. And having broad feet with a high arch, this is where many brands fail for me. I often have to buy too big boots just to get my damn feet in them as the shaft is too tight, while others are just too tight in the front for me to at all wear them. Consequently, many brands are not even an option for me. Not so here. You can actually order these boots in not only size, but also width, choosing between “regular” and “wide”. Also, good to know is that according to Belleville, they run about “half a size small”, meaning you should likely go up half a size when ordering. As for stability, they have a foot box that perfectly encapsulates the heel, making them feel surprisingly rigid, and together with the tough leather encircling the whole boot, there is no unstability in that area. Of course, the ankles are not really supported much with this kind of boot design, which is perfectly fine and even desirable here. 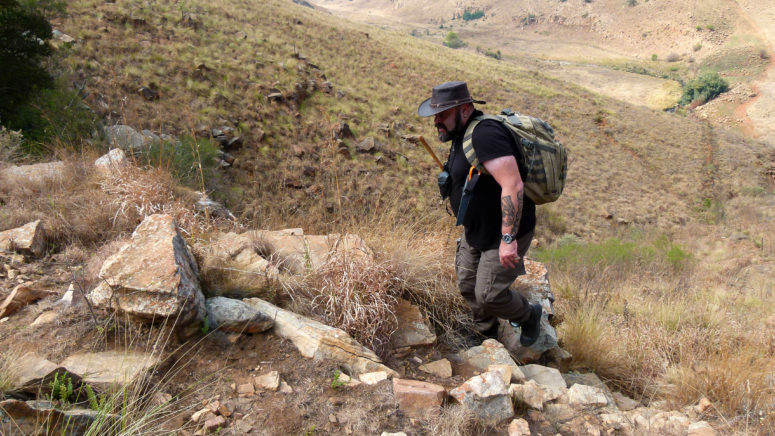 As with all “barefoot” shoes and boots you should adapt your walking style a bit, not stomping down as hard, instead moving a bit softer and flowing, setting down your feet more flat. The soles are hard, and you may risk heelspur if you don’t adapt. This is not a bad thing though, and happens naturally if you lean forward when carrying a heavy pack, and it will save your feet and knees from some strain. Now I have worn these boots pretty much daily for a year and a half, and I just love them. I have worn them on asfalt, on trails in the woods, even hiking in extremely rocky terrain in South Africa, and while the latter was a bit unwise as they are not really suited for that kind of terrain, they have worked beautifully in all other circumstances. 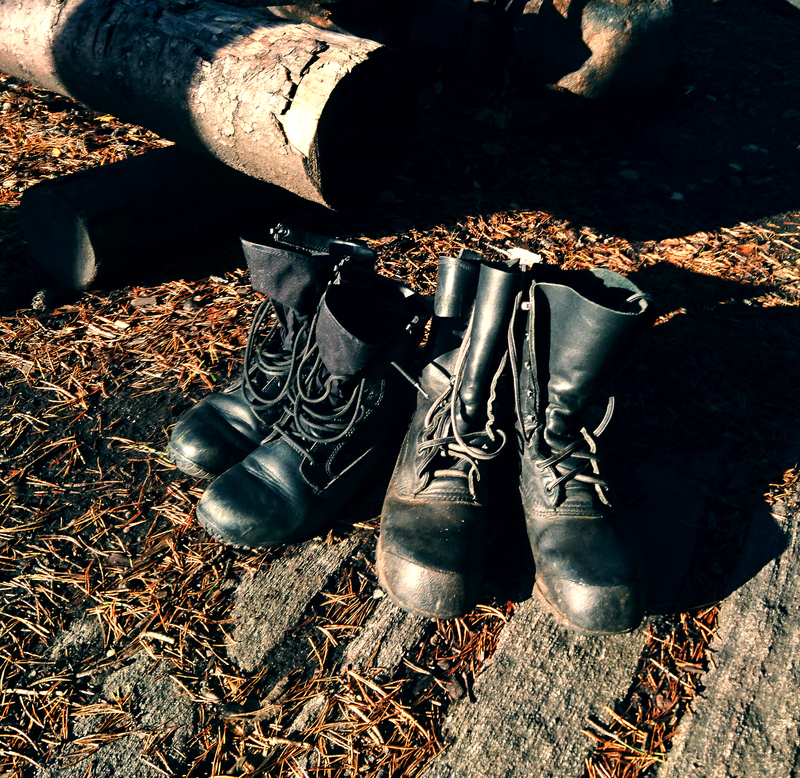 And walking on trails in the forest is a fantastic experience, as you literally feel the ground through your soles in a way that you just don’t with regular boots. And being so lightweight, you don’t even notice you are wearing them, which is fantastic both in urban environments as well as outdoors, and very different to old style hard-soled military boots. 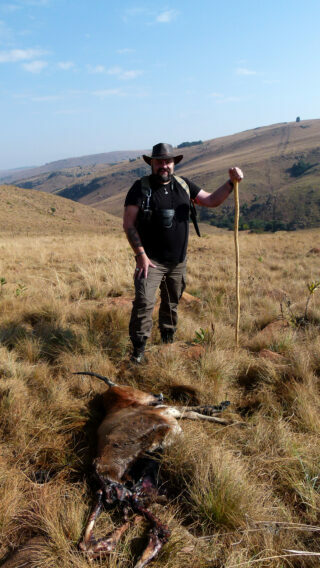 Looking to durability, the leather is of course showing some light wear, not least from hiking for seven hours in the extremely rocky terrain in South Africa, with a few scratches and cuts from sliding over quite sharp, punishing rocks, but to be fair, that was putting the boots under extreme pressure, and not at all what they were designed for. Even so, the damage is only superficial and the only actual, and quite minor, issue is that the upper edge of the rubber at the heel of the left boot has become slightly unglued, something which is easy enough to fix, and doesn’t even affect the boot in any way. Other than that, the wear is generally less than what one often sees on other boots after such use, which is quite impressive. 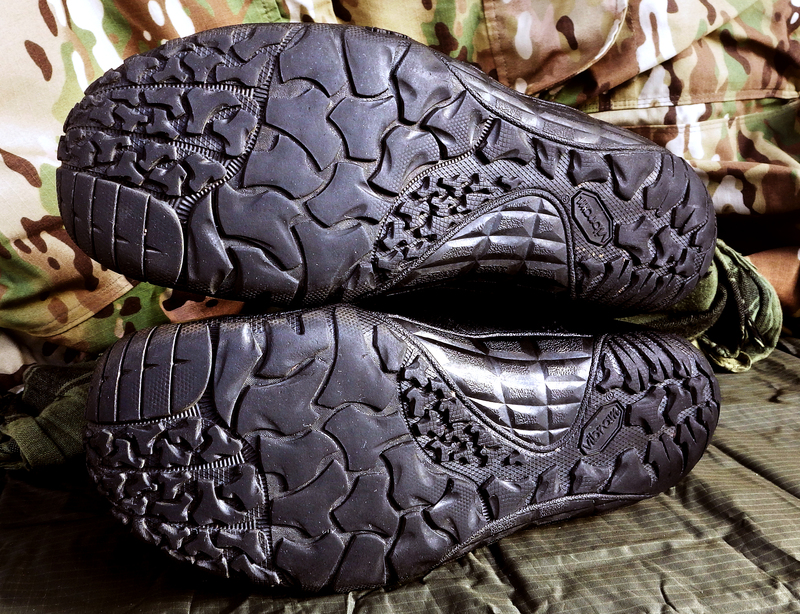 The rubber soles hardly look worn at all, and the same is true for the fabric. 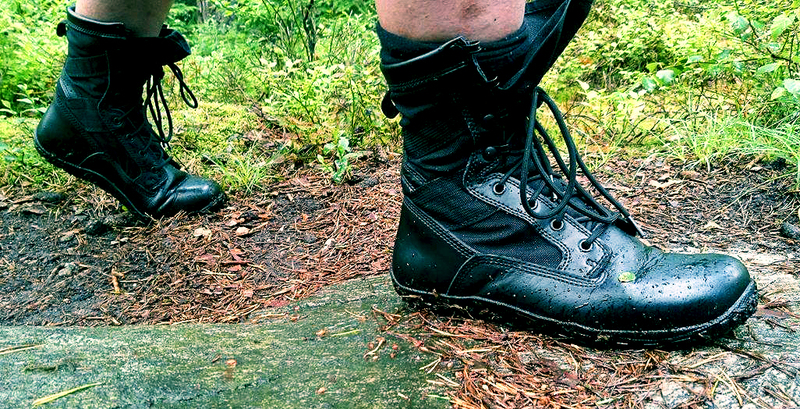 This is quite impressive, considering the abuse they’ve been submitted to, and considering they are designed as an athletic boot, not a mountain hiking boot, something we can likely thank the extremely durable leather, rubber and double & triple stitching for. 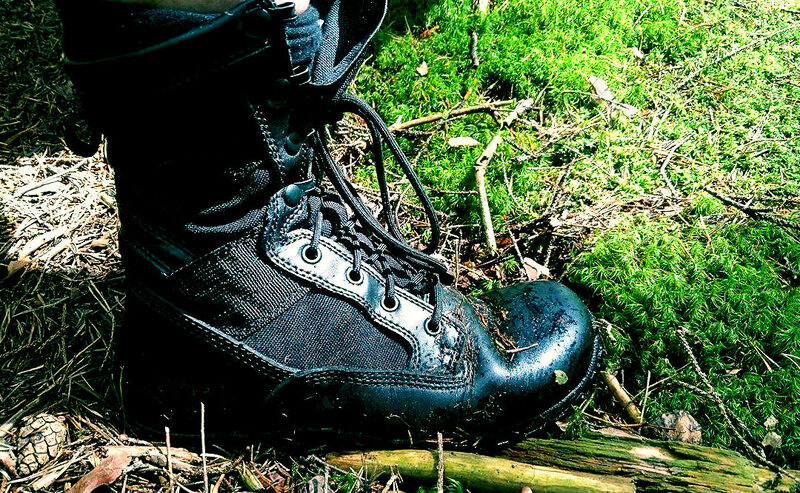 Now, I would love to see a waterproof version of this boot, so I could wear them also when hiking in the so often very wet and muddy terrain of the north. I absolutely adore these boots and wish I could wear them everywhere. And I wish Belleville would expand into Europe. I am happy to say that Belleville easily lives up to the praise they so often receive and to the credibility they have managed to build for themselves over the last 100 years. Consequently, I gladly recommend these to anyone looking for minimalistic boots to wear in the streets or on reasonably dry trails.